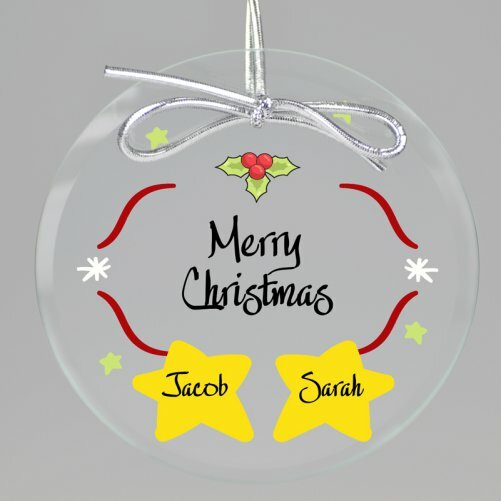 The Starry Night Keepsake Printed Ornament - Circle features up to 6 names each will be printed on a Star with your choice of saying in the middle. 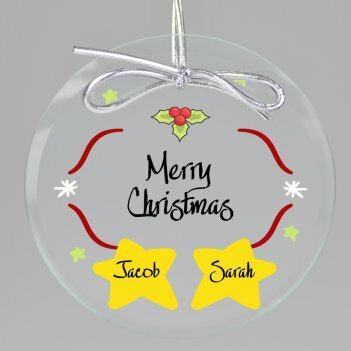 Your personalization and the holiday artwork are precision-printed onto a jade glass ornament. 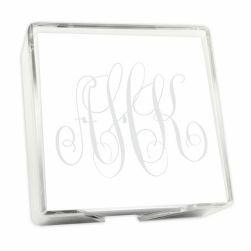 As with all of our personalized keepsake ornaments, we will include a flexible silver ribbon and black velvet pouch. 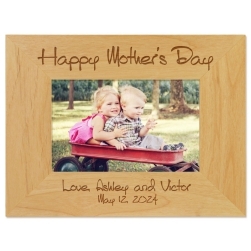 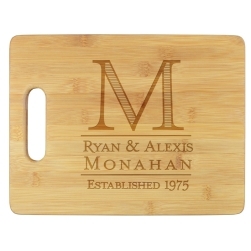 · Personalization: choice of saying and up to 6 names.